An iPhone repair shop claims to have replacement parts for the iPhone 4G, which leave open some interesting possibilities about the rumored device. Let's get the caveats out of the way: These parts come from an unnamed supplier, not Apple, so they could be fake, or just a prototype. 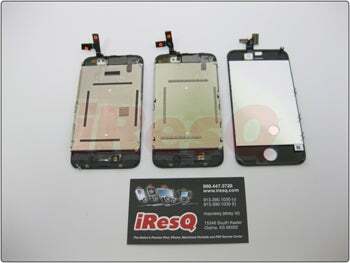 iResQ doesn't believe the parts are fake, as they come from a source that's proven reliable in the past, but acknowledges that the iPhone 4G's design could change. 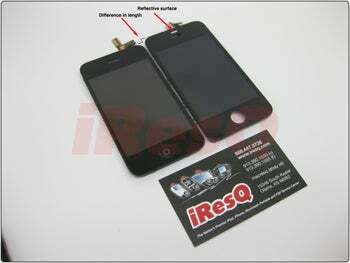 iResQ says the iPhone 4G front panel is 1/4-inch longer than its predecessors, but the screen appears to be the same size. Also of note is a "reflective, mirror-like surface," located directly above the speaker. iResQ speculates that the iPhone's proximity sensor, which shuts off the screen when you're making a call, will be housed in the new location above the speaker, instead of next to it. If these parts are the real deal, something's brewing. I wouldn't expect the iPhone 4G to be drastically different than its predecessors, but there must be reasons for a longer phone with a repositioned component on the front panel. 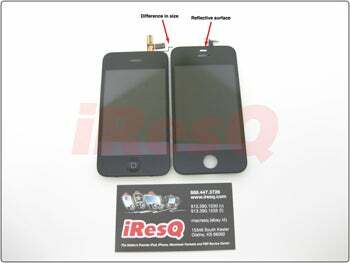 Last month, Korea Times reported that the iPhone 4G will have a removable battery, an OLED screen, a dual-core processor, more powerful graphics and an improved camera. Video chat will also be supported, the report said, though it didn't specifically mention a front-facing camera. A longer phone could make room for some of those new internals. What's also interesting about iResQ's front panel is that there's still a hole to the left of the phone's front speaker, where the proximity sensor is located now. If the reflective surface above the speaker merely houses the proximity sensor, why does the hole to the left of the speaker still exist? To thicken the plot, a fuzzy alleged iPhone photo that surfaced last month shows a tiny, ambiguous white dot to the left of the speaker. If Apple launches a new iPhone this year, as it has every year since 2007, it'll likely happen at the World Wide Developers Conference in June, the same venue where Apple introduced the iPhone 3GS last year. Until then, anything's possible.